Debate on sanctions against hareidi men who do not enlist turns ugly. The debate centered on whether punishment for non-enlistment should be financial, or take the form of criminal prosecution. Both options are strongly rejected by the hareidi leadership. Hareidi MK Meir Porush (United Torah Judaism) predicted that the attempt to force yeshiva students into the military will fail. 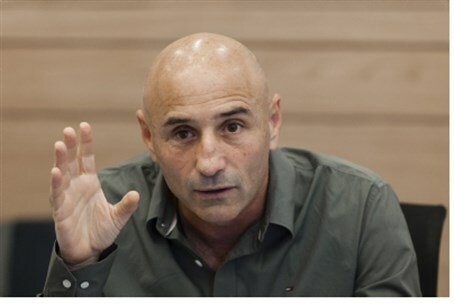 The debate took place in the special Knesset committee that was established to hammer out a new law regarding hareidi enlistment, known as the “Equal Burden Committee.” MK Gafni credited Bayit Yehudi's MK Ayelet Shaked, who chairs the committee, for being “gentle and normal” in the way she runs the committee, thus making it possible for the hareidim to participate. MK Shaked, who favors non-criminal sanctions, suggested that hareidim who avoid enlistment be denied the right to reduced municipal taxes and mortgages. Einat Fisher, an assistant to Minister Yaakov Perry of Yesh Atid, said that this option was found to be impossible since it would be improper to deny citizens social benefits of any kind. However, representative the Justice Ministry said that financial sanctions are possible if they are defined as “negative incentives.” MK Shaked asked the Knesset's Legal Advisor and the Justice Ministry to look into this option and report on it in the committee's next session.